Home / HairCare / SkinCare / Moroccan Pure Organic Hair And Skin Products. Moroccan Pure Organic Hair And Skin Products. 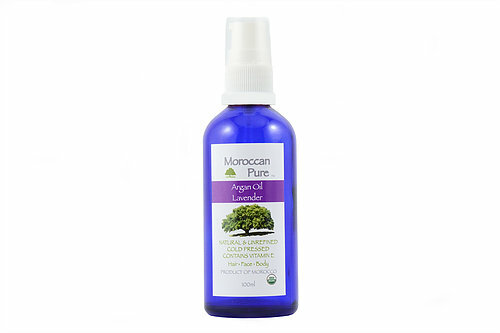 Moroccan Pure provide an exclusive range of the best natural Moroccan organic hair and skin products with essential health benefits. 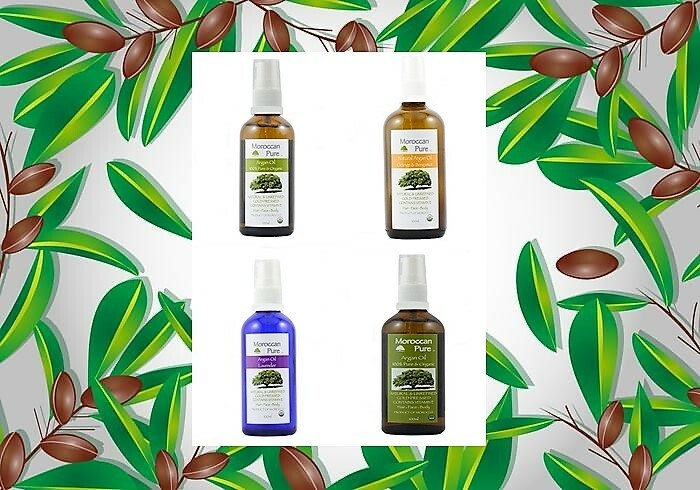 The Moroccan inspired products are sourced in morocco and contain generous proportions of high quality cold pressed pure argan oil for you to enjoy. The extensive range is not tested on animals and the sourcing preference of ingredients follow the same philosophy towards animals. The founders of Moroccan Pure have previously worked in the beauty industry for top named brands (some of those products might be your favourites), so you can be assured that the internal process the company follows is of a high standard to bring you an exciting natural beauty brand with ethical values. 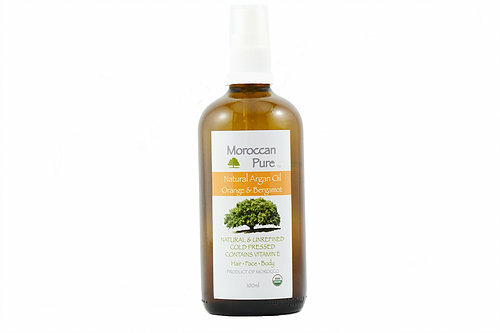 The Moroccan Pure Argan oil hair treatment is available in a dark glass bottle to help protect the high quality product from degrading from sunlight. The pump dispenses just the right amount of product you need to use and also is really helpful to avoid waste. The natural and cold pressed 100% argan oil is sourced from the argan tree and direct from the Moroccan farming co-operatives Moroccan Pure partner with. The argan oil is rich in vitamin E and naturally occurring linoleic acid (omega-6 fatty acid) that stimulates hair growth, maintains a healthy scalp and controls water loss in your hair. Dispensing the Moroccan Pure Argan oil hair treatment into your palms, you then warm the oil by rubbing your hands together. Applying to damp or towel dried hair the colourless oil glides through hair easily transforming dry or frizzy strands to hydrated smoothness. I was pleasantly surprised on how little you need and how light the oil is, it doesn't weigh your hair down or make it look greasy. Apply to damp hair before washing (Pre-Shampoo) will help detangle your hair before washing to avoid losing excess hair. Using the pre-shampoo method for dry hair types is an excellent method as the oil will shield your hair from any dryness the shampoo can bring. Applying to hair overnight will deeply hydrate but also protect your hair from knotting. 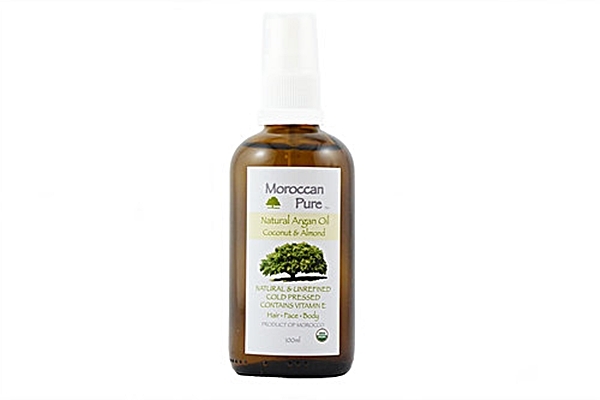 The Moroccan Pure products are also great to use on your skin, applying to your face and body. Applying to wet skin after a bath will seal moisture, helping skin feel hydrated and smooth. You can also apply to the face before cleansing to break down any makeup and SPF, before removing with a muslin cloth and then proceeding to use your own cleanser. Applying the light oil over your moisturiser at night will help to seal your skincare products on your skin whilst also helping to repair damaged skin thanks to the natural vitamin E present. The linolenic acid has many skincare benefits to heal, hydrate and plump and is a well known ingredient in many beauty products. 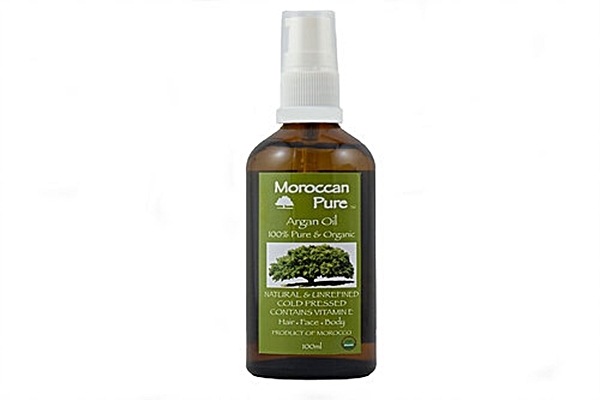 Moroccan pure offer products with a natural added scent to add even more luxury to their luxurious products. Moroccan Pure Orange and Bergmot scented organic citrus argan oil, a citrus scent to use in the morning to wake up your senses and take on the days challenges. Moroccan Pure Coconut and Sweet Almond is a luxurious leave-in hair conditioner, and can also be used as a hair straightening oil. Moroccan Pure argan oil with wonderful Carshalton lavender scent, great for acne and skin blemishes whilst also lovely to apply to skin before bed for a restful nights sleep. 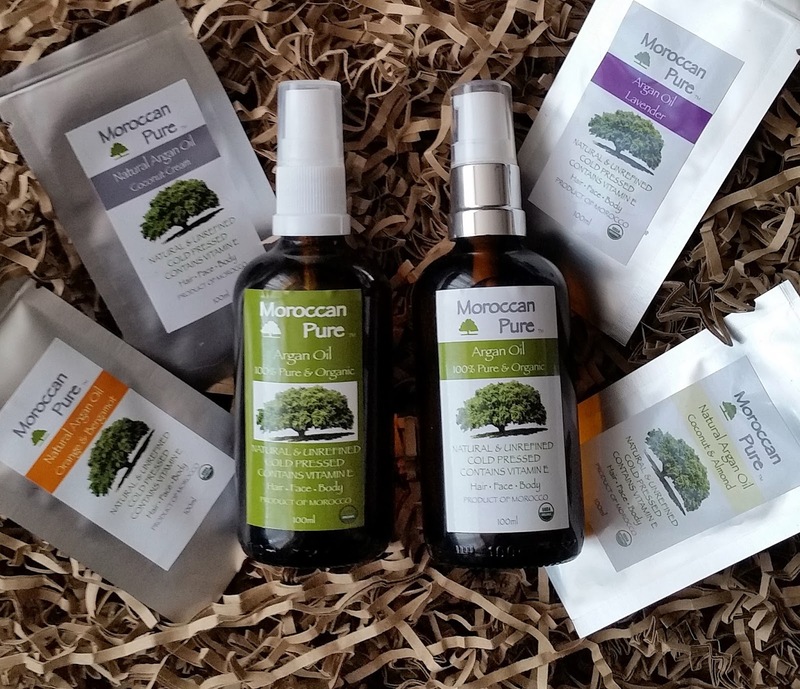 Moroccan Pure are passionate in presenting organic hair and skin products that you will benefit from using and are available at competitive prices, whilst taking great care to source the highest quality, product and packaging. 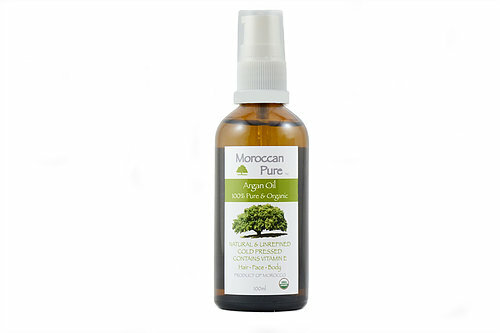 Stay up to date with the exciting product range that is always evolving bringing new organic products available just for you, by heading over to the Moroccan Pure website. X Neil.